I'm just overwhelmed and grateful at how the media has been so supportive. It's so nice of Nona to feature me and aere in their August Issue. They asked me about how I started, the story behind the name aere, when I launched aere , inspirations, designers/labels I adore locally and internationally, how I see aere in 5 years time and other questions! Come to think of it, the context of this interview is very much different from my last Nona interview as the one they did back then was about my legal practice, the law, how's my life as a practising lawyer was, blogging and being a mother. 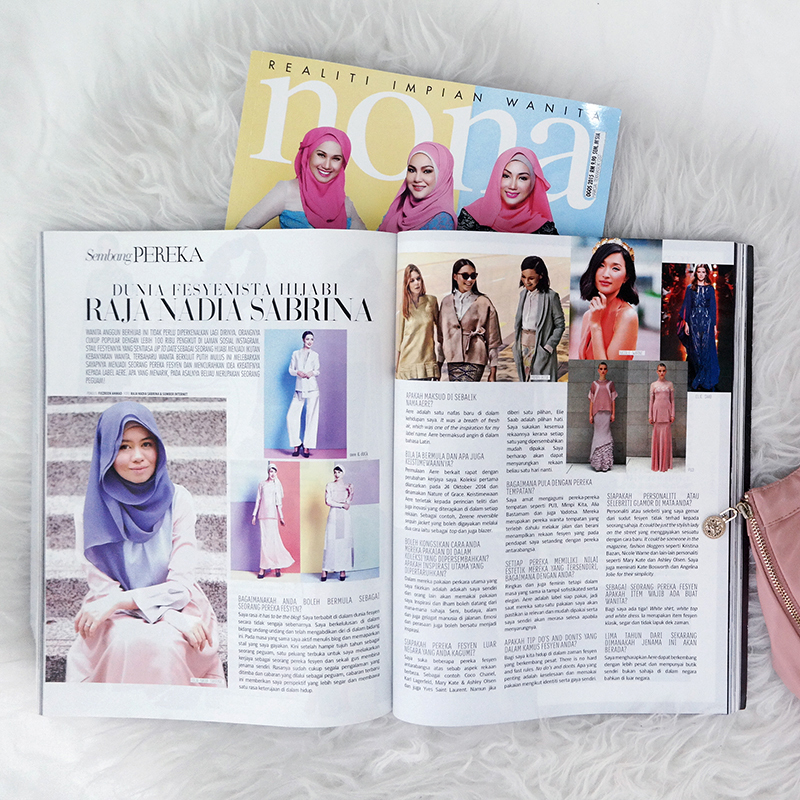 I blogged about my last feature in Nona way before I started aere while I was still practising as a lawyer back in 2013 in my post Feature in the May Issue of Nona Magazine : Mothers Day Edition . Noticed that I didn't scan the 6-page-feature back then. Should try and find them and scan for my record purposes and for me to read in the future (if I can still find it). Probably 5 years from now, so that I can probably reflect on what I said. When I did that interview in 2013, never would I have ever imagined I'll be leaving legal practice / being a lawyer and switch careers. God knows best! We can only plan but we will never know what God has planned and determined for us until it happens. 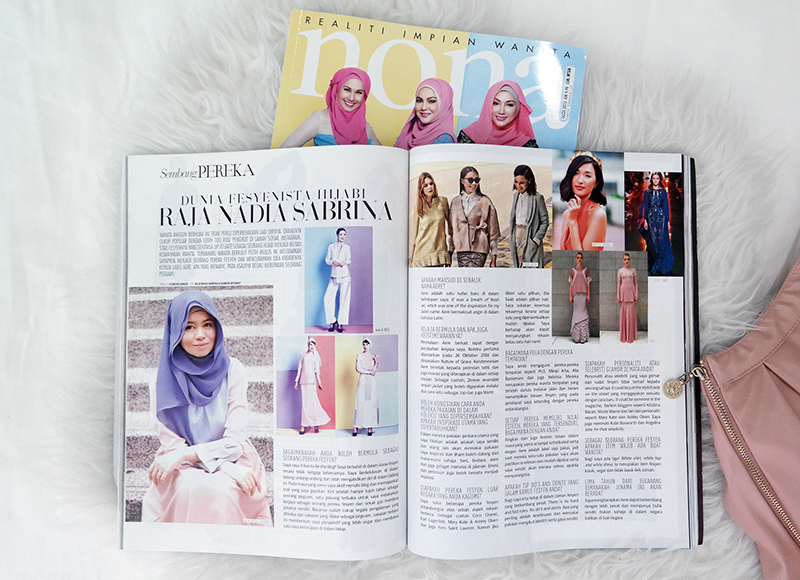 Thank you Nona Magazine and Fiezreen Ahmad for the feature! 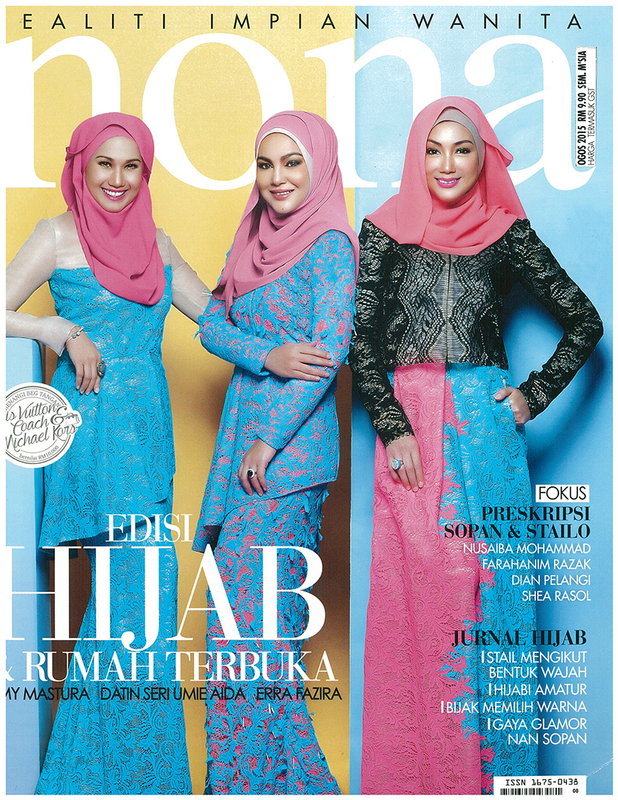 I'm also featured in Wanita Magazine for the August Issue. I'll try to blog about that soon too. 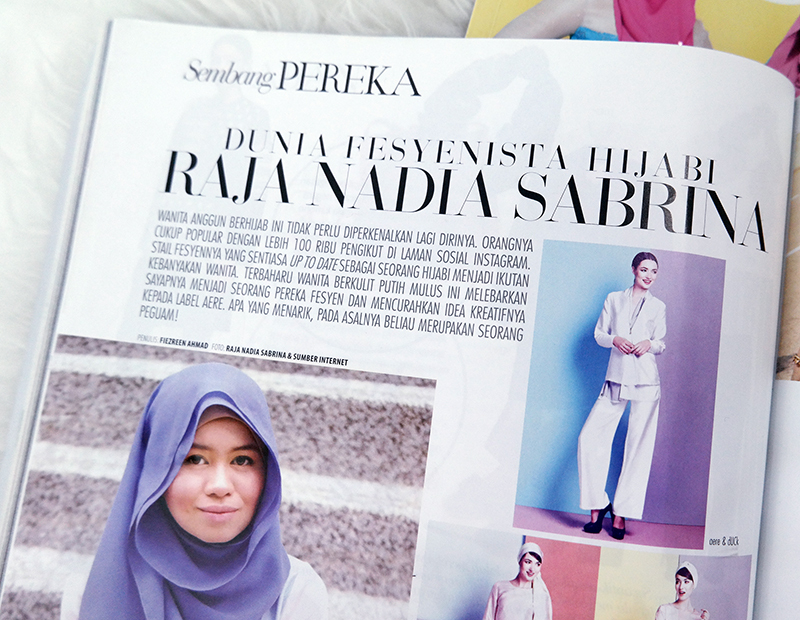 Everytime I'm featured in a magazine, I still find that it is surreal. It's not something which I have imagined when I was much younger or when I was still in school. I'm truly humbled by all the features. All might and power comes from the Almighty and everything belongs to Him and everything happens as He wills it. All praises to the Creator for all the gifts and blessings. Alhamdulillah. Recent features : Read aere in the Sunday News, The Sun on Pastel Dreams, In the Cosmos, Starred, Dreams Do Change and In the News : Life and Times. All praises to the Almighty. :) Truly blessed.